How to modify the PlayStation 4 and play for free: all the step by step methods to activate the mod on the Sony console by jailbreak. PlayStation 4 is the ultimate home console, with lots of games available, often too expensive to launch. If your PS4 has been put in a corner just for this reason, know that there are several ways to modify your console so that you can play lots of titles for free. 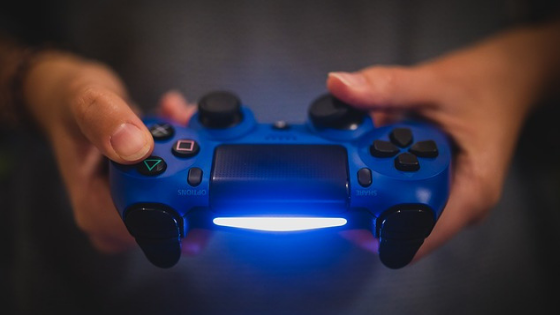 Over the years there have been several methods to modify PlayStation 4, through jailbreak and mods procedures that allow you to have a PS4 modified ready for use. Obviously, it is important to point out that the whole procedure is illegal and strongly prohibited and opposed by Sony: recently the Japanese giant has tightened its policies against the pirated PS4s, which are often sold already modified even online. Modifying the PlayStation 4 is a risky operation even for the system itself: the console could in fact be damaged in the procedure or be unusable at the end of the process. In this case it is possible to attempt a restoration to the natural factory conditions but keep in mind that, in the event of serious problems, you will lose the guarantee and will have to resort to various repairs from your own pocket. Having said this, let’s see together which are the useful methods to modify PS4. The fundamental premise concerns the firmware, that is the version of the operating system present inside your console. This detail is extremely important because depending on the version in your operating system it will be possible, or not, to modify your PlayStation 4. Sony, as mentioned above, tends to counteract each update with the ability to jailbreak inside the console. The versions supported on the mod are 4.05, 4.55, 5.05, 5.07. If you have recently updated your PS4 and you do not have the version requested here, it is useless to proceed. Sony has solved the various bugs that allowed the modification through various patches and it is not possible to proceed currently through the last supported version (new methods could arrive soon, given the continuous search for tricks by specialized users). If you have a PS4 corresponding to these versions, temporarily disable the internet and through the settings of your console change all the options related to automatic updates (Settings -> Automatic Downloads). Once the console has been modified you will never have to update your PlayStation 4, unless other useful mods have been released for later versions. Now you can connect to the internet again: open the PS4 browser and go to one of the various portals that contain the available changes (like ps4exploits). These are usually unsafe sites, so you should always pay close attention. Within these portals it will be necessary to download the mod corresponding to those compatible with your version of PS4 (eg, Dumper, FTP, Linux Order etc.). Once the mod has been chosen and the installation is completed, the mod will be ready and modified (it will be possible to check everything from the Debug settings). Once modified, the PS4 will be ready for use only through games downloaded in PKG format and connected to the console via a USB device. From the debug settings click on game and install package: here all the modified games downloaded and present in your device connected with USB will appear. After the installation, you will find the game inside the Home. Through the PKG files you can also install games from previous consoles on PS4, and modified to hoc, such as PlayStation 2 and PlayStation 3. Where to download games in this format? There are many sites: look on Google PS4 PKG games, maybe even accompanied by the number of your system version, to find different pirate sites where to download the various roms. To remove the activated change on your PlayStation 4, simply restart the console. In fact, at every reboot the activated change will be removed and the PKG games installed will always be present inside the home even if it will be impossible to start them. To resume playing, all you have to do is proceed from the beginning with the whole operation, activating the debug settings through the special specialized sites: this is the only way your installed roms can start working again. Always remember not to upgrade the PS4 to a new version so as not to lose the chance and be forced to wait for a new patch to enable the change. The best advice, in this case, is aimed at those who have two PS4s: apply the various modifications to a single platform, so that you can play freely (and legally) at your reference PS4.